Chicken is one of the most versatile proteins out there. Dress it up any way you like — spicy, sweet, savory, creamy, crispy — it all works. 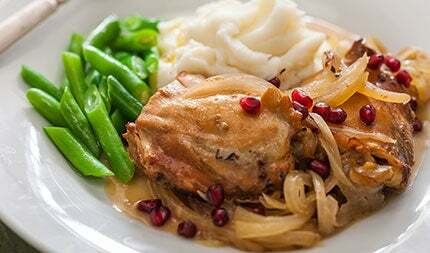 Whether you’re looking for a hearty dinner for the family or crowd-pleasing morsels for your next get-together, chicken makes a perfect base for just about anything. Get the party started right. 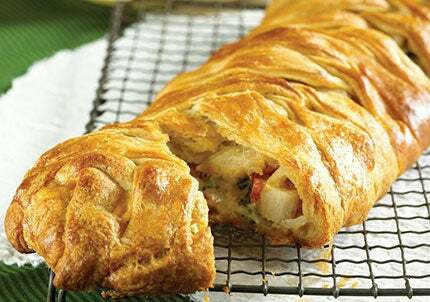 The puff pastry provides a perfect textural contrast to the cheesy, peppery chicken inside for an appetizer all your guests are sure to love. Slow cookers can be a great tool for hectic days. Just whisk together the ingredients, pour it over the chicken, and come home to a sweet, tangy pot of deliciousness. We’re a sucker for a good chicken salad, and this has to be one of our favorites. 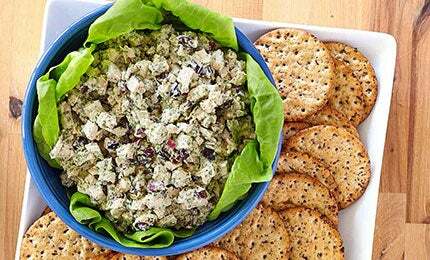 We swapped out the mayonnaise for Greek yogurt, but doubled down on the flavor with our Creamy Spinach Parmesan Warm Dip & Appetizer Mix. Perfect if you have leftover chicken. Using crescent roll dough brings this recipe together in no time, and makes its presentation as impressive as the flavor. Crunchiness is guaranteed when cornflakes and cheddar are involved. Wheat beer adds just the right amount of bitterness to balance the maple syrup. That paired with the tang from the ranch seasoning and plum sauce is out-of-this-world delicious.